In one of the oldest towns in India three young women seek to change their futures. The opportunity to continue their schooling has opened up the possibility of a different life for Karishma, Apsana and Samira. But even as they prepare for final exams, their families begin preparations for their weddings, threatening to pull them back into the prescribed roles of wives and mothers. Immediately, they are forced to choose between their evolving dreams and their obligations to their community. At once frustrating and inspiring, Brave Girls reveals the complexity that emerges on the path to self-determination. 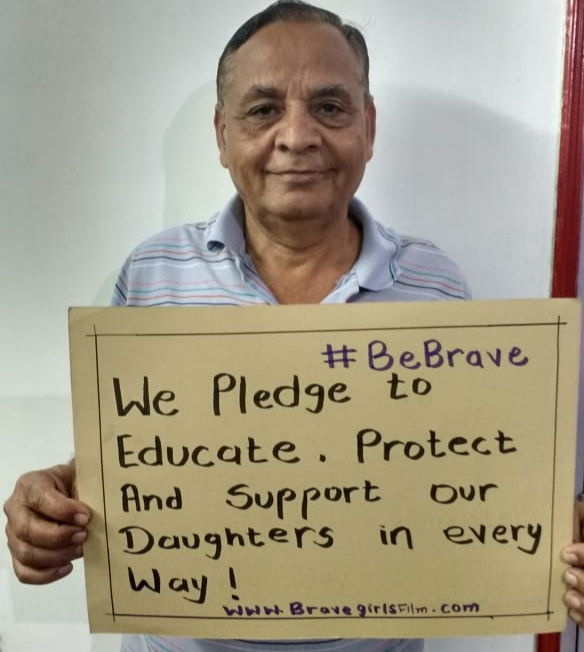 In honor of Women’s Month, the BRAVE GIRLS team in India has taken to the streets to ask folks to take the BRAVE GIRLS PLEDGE in support of the aspirations of young women in India and around the world. We’ll be sharing those pledges throughout the month and we hope you’ll join us. 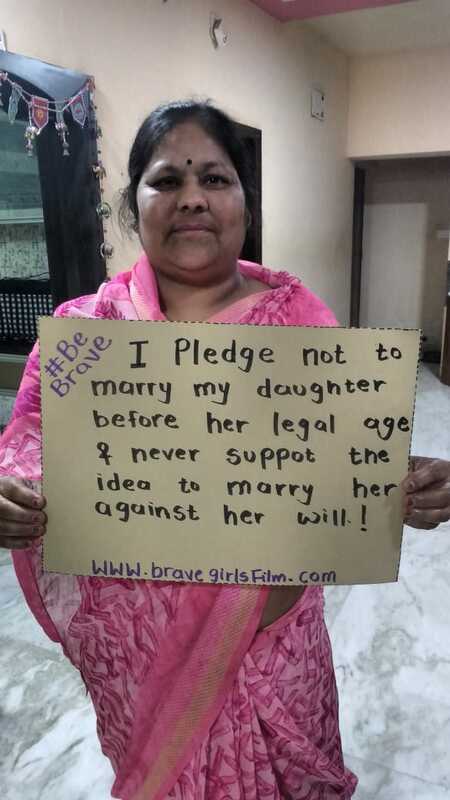 Please also consider a donation in support of our on-going campaign to bring the film’s message of education and empowerment to young women all across India. With your help we’re conducting workshops, screenings, and connecting girls with practical support in advancing their dreams. Brave Girls had its World Premiere in November 2018 at DOCNYC to a sold out crowd. Deborah is an Emmy-nominated Producer, Director, Writer & Performer. She has worked on the Emmy winning documentary, GASLAND & produced GASLAND, Part II & received an Emmy nomination. She completed BLOOD ON THE MOUNTAIN which will released by Virgil Films & Netflix. Ellie is an award-winning filmmaker and educator, committed to sharing personal stories that reveal and inspire. She is the recipient of the DC Mayor's Arts Award and is a frequent collaborator with the DC based production company, Meridian Hill Pictures. Yashaswi is a facilitator, visual artist, and holistic healer. 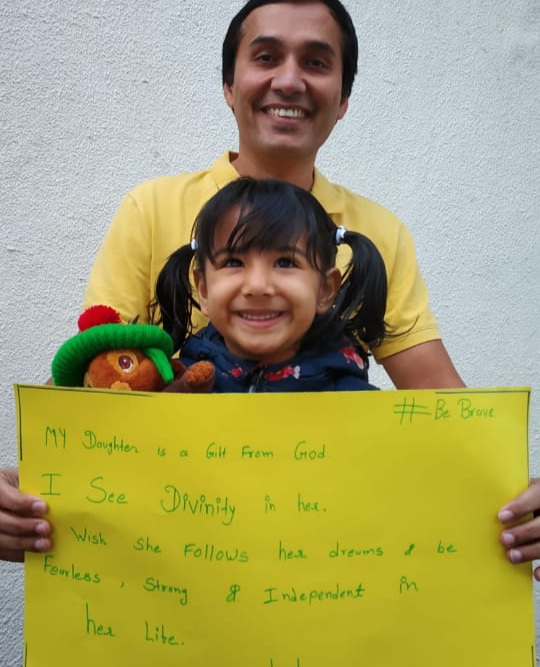 Born and raised in Gujarat, she has an open heart to learn from each small moment and feels passionate about sharing stories that inspire reflection. Tanisha is an interdisciplinary performer, multi-platform producer, filmmaker and educator who loves collaborative art making and engaging an audience directly in performance. She is a 2016/2017 Brooklyn Arts Exchange Artist in Residence developing a new performance installation, called bathtub. Magee received much of his film training under the mentorship of award winning Director Scott Willis, including the opportunity to work on the critically acclaimed documentary The Woodmans. Since then, he has worked on several feature documentaries with topics ranging from campaign finance reform to youth development. Sonali is a queer feminist activist, filmmaker, and magazine editor. She has been involved in social justice and documentary filmmaking since her teens, and finds intrigue & meaning in stories that push boundaries in the ways that make up the world. We are currently raising funds for distribution and outreach, so that the film can be used as a tool to open conversations with young women and their families across India about what it means for girls to make healthy choices for themselves.